Is math a daily struggle, leaving both you and your child feeling confused and beleaguered? UnLock Math is an online program designed to take the mystery out of mathematics and give your child the tools she needs to succeed in middle school or high school. I recently had the opportunity to try out and review UnLock Pre-Algebra with my 13-year-old daughter, Mary. 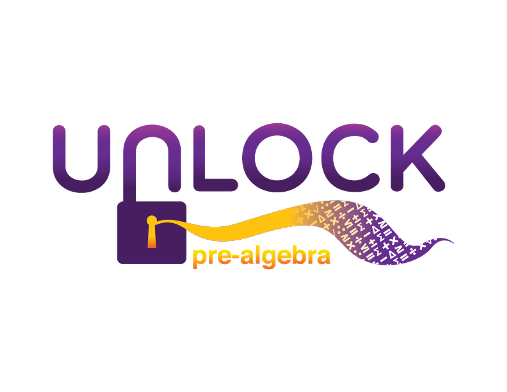 UnLock Pre-Algebra is a full math curriculum delivered online through streaming video lectures and automatically graded problem sets. To go to a unit, click on the little rocket ship to launch that unit. Units with unlocked blue locks next to them have been completed and units in progress will have an unlocked purple lock. You can access a progress report and gradebook from this screen. Parents can also access these features from the parent dashboard (a separate log-in). 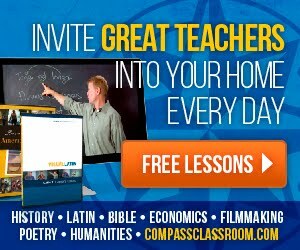 Once you “launch” a unit, you’ll go to a screen where you can access the next lesson or quiz. The lesson starts with a short warm-up of about five problems that should be material the student already knows, followed by a video lecture, then a practice problem set, a review problem set (called “Stay Sharp”), and a single challenge problem. 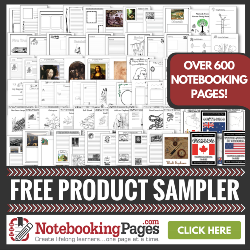 Finally, there is a printable pdf of Reference Notes that can be printed and added to a binder for future reference. If a student does not do well on a practice problem or review set, she can do a new set. This is an excellent way for a student who is struggling with a concept to go over the material again and work at it until she learns it. 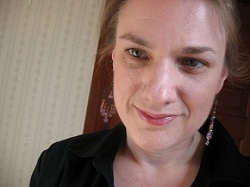 Alesia Blackwood is the lecturer for UnLock Math. She’s upbeat and personable. She uses an interactive whiteboard while lecturing as you see above. Lectures are short and to the point, but easy to follow. You can see some of her videos for free here. In the gradebook (accessible from the student dashboard or from your parent account), you can see how your child did on each problem set. Click the “Details” link by any set to see which problems were correct or incorrect and the solution for each problem. How have we been using UnLock Pre-Algebra? Mary has been working on this course on her own with very little input from me, but at times I have had to reteach a concept or explain a procedure that she didn’t quite understand from the lecture. Still, she has been keeping pace with and even sometimes outpacing the pacing guide, having all but completed the first three units (she just needs to take the test for unit 3). Many of the beginning units were strictly review for her, which I fully expected in a pre-algebra program, so some days she has done two lessons. By her own choice. I think that’s a little bit of a testimonial, because she is normally a math hater. She has found that most lessons take her a half hour or less to complete and even the monster review she did today before tomorrow’s test (50 problems) only took her 31 minutes. Alesia’s lecture style---not at all dry and boring. My daughter finds her very engaging. Mary loves the layout—she knows exactly what to do when. The challenge problems! Mary is not usually into hard math problems, but these have really encouraged her to stretch herself and have built her confidence. The ability to do multiple practice sets---this is a great way to practice a concept that is giving Mary trouble! The student can work completely independently without waiting for Mom to help. More conceptual teaching---we found that for some topics the lecture and reference notes were very focused on the procedure and barely touched upon the “why” behind the procedure or did not touch upon it at all. I ended up re-teaching the lesson on the Distributive Property, because my daughter didn’t fully understand the why behind each step she was doing and so she was misapplying the procedure. The lecture and the reference notes did not address why the distributive property is a property (why it works) at all, so we also covered that. Understanding the why is an important part of understanding math. A lot of the video time is spent on working examples. I would like to see more time spent on the concepts with possibly fewer examples. Additional examples could be added to the reference notes for students who need them. Better readability---the colors used on the interactive whiteboard in the videos and the small, gray font used in Maple T.A. for the problem sets are hard to read due to the low contrast. Using a different angle on my monitor helped a little, but black would be better. While I can increase the size in my browser for the problem sets (I found that 150% made it much easier to read), I can’t really do anything about the color. My daughter doesn’t have any serious vision issues (she does wear fairly weak reading glasses), but kids with serious vision issues (like her younger brother) may struggle to read the writing on the wall. Mary found that the long review problem sets made her eyes ache. I think you can see what I’m talking about in the screenshots I’ve included in this review. Shorter reviews before the tests---reading as many as 60 problems on the computer and completing them in one session is very fatiguing. It would be great if the review was a little shorter. Shorter load times---the UnLock Math website loads beautifully and they even have a handy chat feature (Alesia and I chatted on there briefly when I had some technical difficulties and she cleared them right up for me). But the Maple T.A. platform has amazingly slow load times. Slow enough that I can click to open the gradebook, click another tab to read something else for 30 seconds, and come back to find that the gradebook still isn’t loaded. All of the problem sets and the gradebook are affected by this. My daughter has had instances where she clicked the “next” button again, because the next problem wasn’t loading and she thought maybe she didn’t click it in the sweet spot…only to find that she had and so it skipped the next problem. The slow load times can be frustrating. Now, there are no perfect math programs. At least, I haven’t encountered any, and I’ve lost track of how many we have tried. I have found programs that have been a near perfect fit for this or that child---that’s the beauty of being able to select a different program for each child. Sometimes a program is a good fit overall but the font is hard to read. Sometimes a program is a good fit overall but there are too many problems. And it’s common for a child to not get something and to need it explained a different way, even with programs that are heavily conceptual. Overall, I really like the idea of UnLock Math, I just don’t know if it’s a good fit for my child. I like Alesia’s lectures. I like the program set-up (especially the learning path for each lesson). I like the independence it gives the student. It has a lot of positives. Mary is doing well with it and seems to be making progress. She has a solid A average. But she also complains that there are things she doesn’t quite get or that go out of her head after completing the lesson, so I’m evaluating whether a different Pre-Algebra program would be a better fit for this child. I suspect she may do better with a different program format, which is not the fault of this particular program. A student who needs solid, procedural teaching can probably do well with this program. A student who is always asking “why” may struggle with it or need additional support from Mom and Dad. Children with vision issues may find the interface hard to read and since all the work is done online, that may be a challenge that is difficult to overcome. 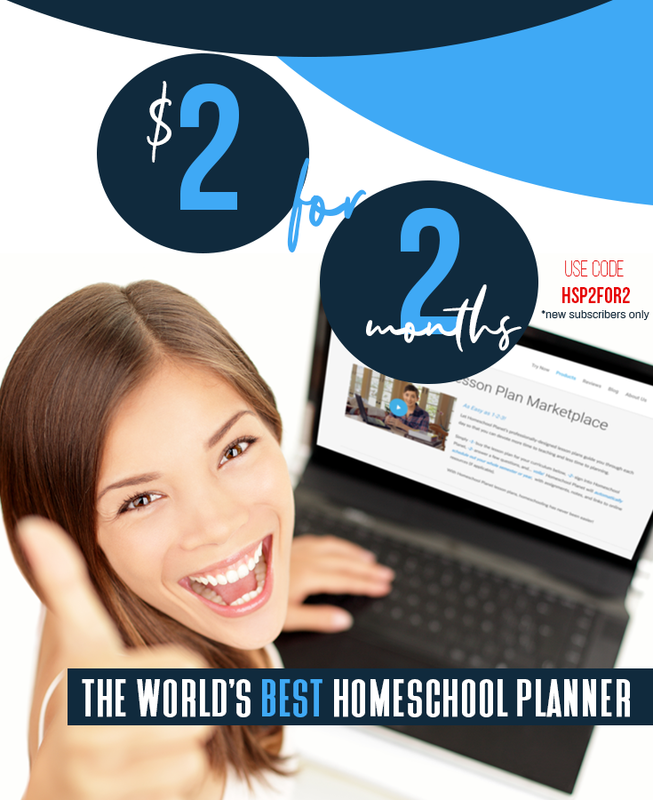 But if you are looking for a no-nonsense, solid program that you child can do on her own, I recommend viewing a sample lesson here so you can see for yourself if Unlock Math might fill the bill. UnLock Pre-Algebra sells for $49/month or $299 for one year of access. There is also a 50% sibling discount. Go here for a coupon good for $50 off a year of access. Unlock Math currently offers the following courses: UnLock Pre-Algebra, UnLock Algebra1, UnLock Algebra2, UnLock Geometry. Disclosure: If you click on an affiliate link, I may receive a commission for referring you at no cost to you.